As people get older, it’s not uncommon to notice the appearance of varicose veins on their legs. For example, you may be putting on a bathing suit to go to the beach only to look down and see unsightly veins that you hadn’t noticed before. Those wanting to improve their appearance are not alone; in fact, many people turn to varicose vein removal. Before you arrange for our dermatologist to develop a treatment plan just for you, here are four facts about removing varicose veins to prepare you for your appointment. 1. What Leads to Varicose Veins? It’s part of the normal aging process. People’s veins grow less elastic as they become older. Valves in the leg veins tend to weaken the older you get, sometimes resulting in blood back-flow occurring slightly beneath the surface of your skin. The result is the familiar appearance of varicose veins. 2. Can My Doctor Actually Make Visible Varicose Veins Vanish? 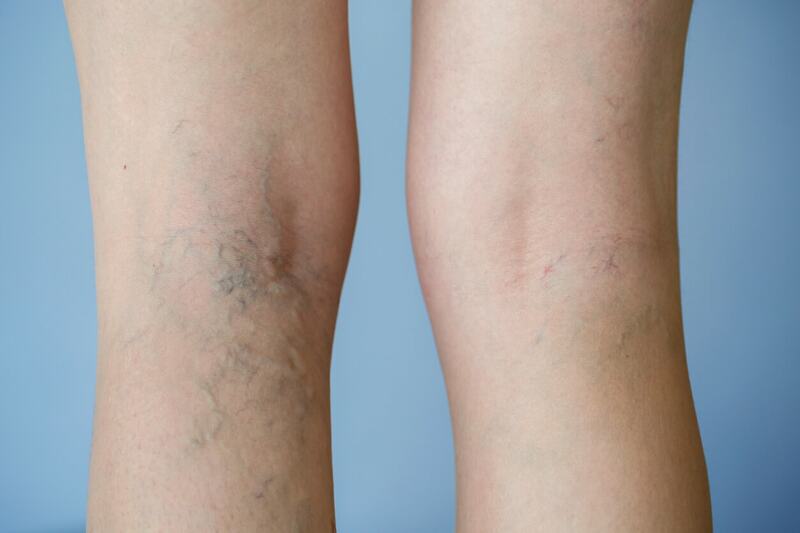 Varicose veins frequently present themselves as purple or deep blue and typically develop a twisted pattern that patients wish would disappear. The point of coming in for varicose vein treatment is to make patients feel better about their appearance as well as more comfortable as the procedure can alleviate itching and burning sensations that are sometimes caused by varicose veins. Yes, your doctor can provide treatment to get rid of varicose veins. 3. What Should Patients Do Following Treatment? In general, patients can resume their ordinary routine on the same day they come in to our facility for treatment. However, your doctor will send you home with orders to wear compression stockings (medical grade stockings available at your pharmacy or your preferred source for medical supplies) for a period of 7 days. 4. Will I Need to Come in For Follow-up Varicose Vein Treatment? Each patient will have different requirements following treatment to get rid of unsightly veins. In general, our doctor will ask you to come in within one to two months for a follow-up session to check on your progress, depending on your type of skin and ethnicity. People with darker skin often will often make a touch-up appointment because of pigment changes following the removal of varicose veins. Your doctor will consult with you to go over the details of follow-up care before you leave. For more information on removing varicose veins or to make an appointment with our doctor to develop a customized plan to treat your varicose veins, please contact Metropolitan Vein and Aesthetic Center in New York at 914-295-2202 today.